On June 3, 2017, Seton Hill presented the University’s Distinguished Alumni Leadership Award to 11 alumnae who have demonstrated outstanding achievement and leadership in one (or more) of the following areas: education, business and professions, science and technology, arts, voluntary services, military service and philanthropy. The alumni honored include: Charlene R. McAbee, J.D., Ph.D. (SHU ’67) of Pittsburgh, Pa.; Karen Altenderfer Cordaro (SHU ’67) of Glenshaw, Pa.; Yvonne Marie Wasilewski, Ph.D., M.P.H. (SHU ’70) of Chapel Hill, N.C.; Patricia Policicchio DeConcilis, Esq. (SHU ’72) of Brownsville, Pa.; Andrea Reynolds Michaux (SHU ’77) of Connellsville, Pa.; Mary Jo Ruefle Brecht (SHU ’77) of Jeannette, Pa.; Monica Stynchula, M.S.W., M.P.H. 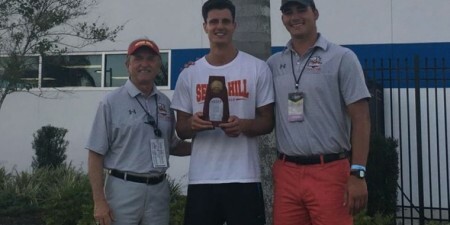 (SHU ’82) Clearwater, Fla.; Marianne Krostyne (SHU ’82) of Pittsburgh, Pa.; Carla M. Palamone (SHU ’92) of Sabillasville, Md. ; Elizabeth A. Harr, D.V.M. (SHU ’92) of Export, Pa. and Jessica Thomas, Ph.D. (SHU ’11) of Clarion, Pa.
Charlene R. McAbee, J.D., Ph.D. (SHU ’67) has focused her work in government, as a lawyer and as a judge on helping people at difficult times in their life. 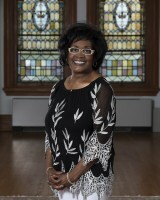 While she was still a student at Seton Hill, Charlene took a civil service test on campus that led to a job with the Pennsylvania Department of Labor and Industry as an employment counselor upon her graduation in 1967. 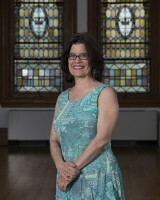 Charlene later earned both a master’s and law degree from Duquesne University and a doctorate from the University of Pittsburgh. During her 38-year career with the state, Charlene transitioned from counselor to administrator and finally to judge with the Department’s Unemployment Compensation Board of Review, handling judicial appeal hearings. She was ultimately appointed to the Judicial Conduct Board for eight years to oversee all Commonwealth of Pennsylvania judges. Since retiring from government, Charlene has continued working in her law practice, providing free advice to those in need and offering diversity training through River Industries Corporation, a nonprofit she created. She has also worked to preserve history internationally – helping to save the slave quarters in Nassau, Bahamas from being razed for a hotel and volunteering to help poor children in South African day care centers. Karen Altenderfer Cordaro (SHU ’67) found her calling to help children as a stay-at-home mother and a volunteer in the 1970s. Karen was a leading force in the Pittsburgh Organization for Childbirth Education, helping to bring birthing rooms, parenting classes, sibling visitation, parenting classes and more to the region. 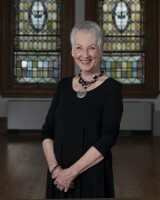 As an educator, Karen later established theatre programs both in Pittsburgh Public Schools and through the founding of Act One Theatre School in 1986. Act One Theatre School, a creative outlet for children from kindergarten to high school, serves as a safe place for children to be authentic and creative, where the emphasis is on collaboration and support and where everyone is equally valued and encouraged. Karen has written and produced a number of productions both in Amsterdam and at Act One, including a musical version of Alice in Wonderland that concerns a modern-day middle school girl dealing with the school bully and finding her own power. 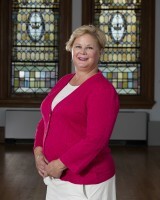 Yvonne Marie Wasilewski, Ph.D., M.P.H. (SHU ’70) has worked for more than three decades to improve public health through education. Her life's work has assisted with serious issues including HIV, child abuse, and neglect. Since graduating from Seton Hill in 1970, Yvonne earned a master’s degree in sociology from the New School for Social Research in New York, where she studied with the eminent social philosopher, Hannah Arendt. She continued her studies at Columbia University where she earned a doctorate in socio-medical sciences, and later completed a post graduate master’s degree of public health in epidemiology at the University of North Carolina. One evidence-based program Yvonne developed, “Open Airways for Schools,” has been cited as a “national model environmental justice intervention” by the Centers for Disease Control and Prevention and has been disseminated to more than one million school children in the United States. Yvonne currently serves as senior social and behavioral health scientist at SciMetrika LLC, in Research Triangle Park, North Carolina. Her most recent project, to evaluate the implementation of Essentials for Childhood, is a national initiative to prevent child abuse and neglect by addressing social determinants of health such as paid family leave, access to universal pre-Kindergarten, and a living wage. Patricia Policicchio DeConcilis, Esq. (SHU ’72) is an attorney and educator in southwestern Pennsylvania. 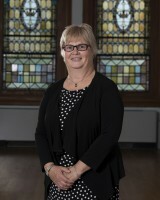 Since graduating from Seton Hill in 1972, Patricia has earned both a law degree from Duquesne University and a master’s degree in education from California University of Pennsylvania. After working for a time at a law firm, Patricia opened her own law practice in 1996 and continues to handle cases in the areas of family law, contracts, estates and trusts, and real estate. At the same time, Patricia decided to also pursue a career in higher education. 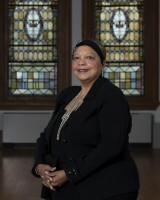 In 1996, Patricia began a career at Douglas Education Center in Monessen, where she served in a variety of capacities over a 20-year-career, including as director of education, on-site legal counsel and vice president of academic affairs. Last year, Patricia joined Penn Commercial Business/Technical School as its director of education, overseeing all programs of study. She also teaches legal courses online for South University. Patricia served her community as a member of the Board and Executive Board of the Westmoreland Fayette Workforce Investment Board for 12 years. There she helped to ensure that educational programs were in line with the needs of employers in the region. Andrea Reynolds Michaux (SHU ’77) retired after a 32-year career in education in which she sought to inspire the lives of the students she worked with as both a teacher and a principal. After earning a degree in English at Seton Hill in 1977, Andrea returned to her hometown of Connellsville, Pa. to begin her career. She spent 16 years as a high school English teacher in the Connellsville Area School District, teaching literature and grammar. After earning a master’s degree in education and principal certification from California University of Pennsylvania, Andrea moved from teaching into administration, serving as a middle school principal in the Connellsville district. Andrea served on the executive board of the Connellsville School District teachers’ union and was a member of Delta Kappa Gamma, a sisterhood of women teachers. She also received a Woman of Excellence leadership award under the auspices of the Greater Pittsburgh Fountain of Life Church. 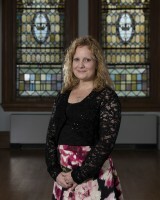 Andrea continues to serve her community as a board member of the Wesley Health Center in Connellsville. Mary Jo Ruefle Brecht (SHU ’77) has served as a religious educator at Greensburg Central Catholic for the past 39 years, helping shape the faith of more than 3,000 students during that time. 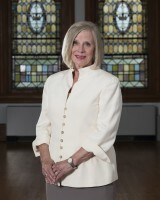 Mary Jo joined the faculty at GCC after graduating from Seton Hill in 1977. In addition to teaching religion classes, Mary Jo serves as the Student Council moderator, chaperones annual school trips, organizes a group of students who volunteer at the Westmoreland County Food Bank monthly and served as the boys’ tennis coach for many years. She also chaired the Religion Department at the high school and served as moderator for the National Honor Society. A member of Sacred Heart Parish in Jeannette, Mary Jo serves as a lector, volunteers at the church’s fish fries and teaches youth faith formation classes there. She has also served as a Master Catechist for the Diocese of Greensburg. Mary Jo volunteers at the Holy Family Institute and at neighborhood cleanup events. Monica Stynchula, M.S.W., M.P.H. (SHU ’82) has taken her experiences in both health care and social work to become a social entrepreneur to improve people’s lives. Monica is the founder and CEO of REUNIONCare, a healthcare technology company that serves as a virtual social worker to connect families and caregivers directly with providers. The company’s goal is to bridge the gap between caregivers and providers to improve lives and help reduce out-of-pocket costs. 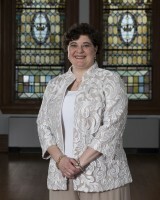 After graduating from Seton Hill in 1982, Monica went on to earn both her master’s degree in social work and her master’s in public health from the University of Pittsburgh. She worked in both health care and social work for a number of years before turning to entrepreneurship. Monica discovered that caregivers were spending a significant amount of money out-of-pocket each year. Through REUNIONCare, which she founded in 2010, Monica guides caregivers so that available funds can be spent more judiciously. As a past president of the Florida AARP and an executive council member for the state organization, helping senior citizens and their caregivers has been at the forefront of Monica’s work. She represented the United States in South Korea at the Seoul 50 Plus Foundation International Conference, served as program director of the AARP Caregiver Accelerator and Florida Caregiver Conference, and was appointed by the Florida Agency on Healthcare Administration’s Telehealth Advisory Committee to draft recommendations for state legislation. Marianne Krostyne (SHU ’82) has designed and built costumes that have been seen on stage and on screen throughout the world, and she has influenced countless other artists as an educator and mentor. After earning a degree in theatre from Seton Hill in 1982, Marianne earned a master of fine arts degree in costume design from the North Carolina School of Arts. She moved to Washington, D.C. to pursue a career as a draper, working for the Shakespeare Theatre, at Arena Stage and Washington Opera. She was named head draper at Washington Opera within four years of graduation. Marianne taught costume construction at the University of Maryland until she opened her own business, Krostyne Studio, in 1999. Through her studio, Marianne built costumes for productions across the United States as well as internationally. Her work has been seen on Broadway in such productions as “Anything Goes,” “Holiday Inn,” and “Beautiful.” She has designed for regional theatres such as The Alley, The Guthrie, The Goodman and the Pittsburgh Public Theatre; operas including the New York Metropolitan, the Santa Fe Opera, and the Pittsburgh Opera; and dance companies such as the Boston Ballet, San Francisco Ballet and the Joffrey. Recently, she built a costume for Supreme Court Justice Ruth Bader Ginsburg when she served as a guest artist at the Washington National Opera. In 2014, Marianne received the Theatre Development Fund’s Irene Sharaff Artisan Award, which recognized her outstanding contribution to the field of costume technology. Carla M. Palamone (SHU ’92) has spent the past 20-years as a financial advisor at Edward Jones. A 1992 Seton Hill biology graduate, Carla earned a master’s degree in biomedical sciences from Hood College and worked for several years at the National Cancer Institute conducting HIV drug research before turning to the financial field. Since joining Edward Jones in 1997, Carla has grown her practice to manage $111 million in net assets for individual clients and businesses and has worked with families spanning three generations of wealth management. Carla serves in leadership roles at the Community Foundation of Frederick County, Evangelical Lutheran Church Zion, the Kiwanis Club and the American Red Cross and served Seton Hill as a member of the Board of Trustees. Carla will soon begin studies toward a second master’s degree at the Duke University School of Divinity to continue the work she has done in layperson outreach. She has received numerous achievement awards for her work at Edward Jones and in 2004 received the George F. Hixson Fellow Award, Kiwanis International’s highest individual honor. Elizabeth A. Harr, D.V.M. (SHU ’92) is a veterinarian and owner of Delmont Veterinary Hospital. 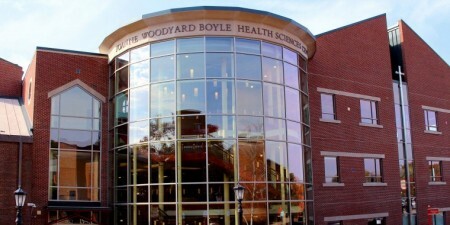 After graduating from Seton Hill in 1992 with a degree in biology, Elizabeth attended Michigan State University College of Veterinary Medicine. She began her veterinary career in June 1996 working with the veterinarian to her own animals, Dr. Robert Pitney. Five years later, Elizabeth purchased Delmont Veterinary Hospital from Dr. Pitney and continues to serve animal patients there today. Elizabeth has developed her surgical skills throughout her 20-year career, especially those related to reproductive surgeries that have helped bring new generations of animals into the world. She has also worked to promote healing through both traditional Western medicine and Eastern homeopathic and holistic remedies. She gives back to her community by offering discounted services and volunteering with local animal rescue organizations, particularly Kiski Valley Cat and Kitten Rescue. She also mentors local high school students interested in the veterinary profession. 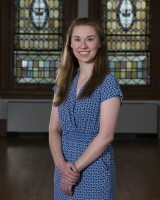 Jessica Thomas, Ph.D. (SHU ’11) is an assistant professor of biology at Clarion University of Pennsylvania. After graduating from Seton Hill in 2011 with a biology degree, Jessica began studies at Duquesne University, where she earned a doctorate degree in biological sciences in 2016. During her time at Duquesne, Jessica guided undergraduate students in biology, anatomy and physiology as a teaching assistant. For her dissertation work, she conducted both field and laboratory experiments in order to explore the relationships between stress, immune function, and reproduction in amphibians. In the fall of 2016, Jessica began a tenure-track position as an assistant professor of biology at Clarion University where she currently teaches human anatomy and physiology in the Department of Biology and Geosciences. She has had her research with salamanders published in two peer-reviewed journals: General and Comparative Endocrinology and the Journal of Experimental Biology. Jessica’s research has been presented at various scientific conferences, and she has been the recipient of several grants and awards including a Frederick and Helen Gaige award, Duquesne’s Bayer Fellowship, and two excellence in graduate research awards.